These pages contain photos from the Champ Car races I attended during 1998. 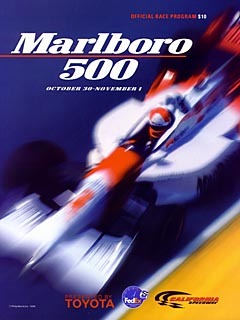 The 1998 California 500 Presented by Toyota at the California Speedway in Fontana, October 30-November 1. 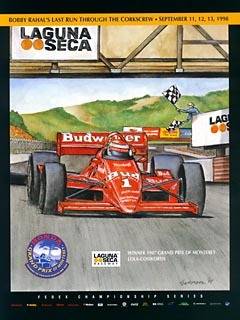 The 1998 Honda Grand Prix of Monterey featuring the Taxaco/Havoline 300 at Laguna Seca Raceway, September 11-13. 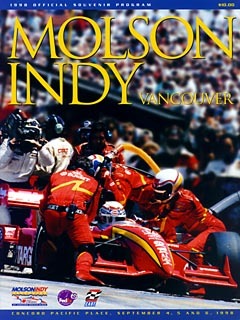 The 1998 Molson Indy Vancouver, False Creek, Vancouver, Canada, September 4-6. The 1998 Budweiser G.I. 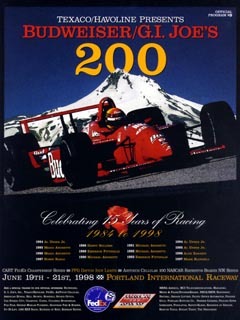 Joe's 200, Portland International Raceway, June 19-21.